As my lovely other half was recently diagnosed as Type 1 diabetic this year. Quite quickly our usual cooking endeavours in low carb and gluten-free for fitness reasons took a more serious turn. This was followed by lots of experimenting in the kitchen, looking into ways to replace daily things like rice, pasta and bread. We still eat those of course, but we’re saving those blood sugar spikes for special occasions. 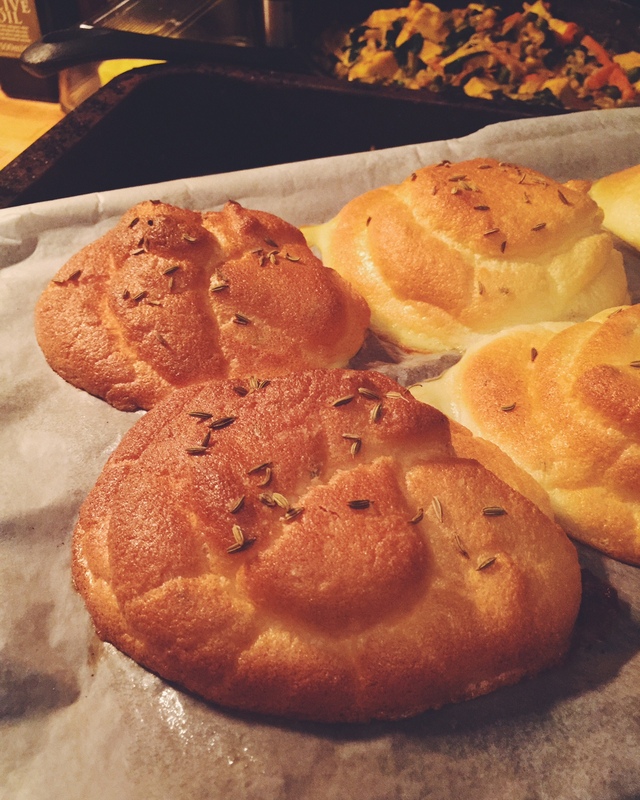 So here is my take on “Cloud Bread” which has been doing the rounds on fitness and health websites. First of all, as a disclaimer, this is not bread, this is not like delicious chewy floury bread. However, texture wise, it’s a bit eating the tops off soufflés! Out of the oven they a light and fluffy. They flatten down slightly overnight should you want to take them into a packed lunch, but they still maintain being light and delicious. The original recipe asks for cream cheese, honey or stevia. I have none of those in this version. Only greek yogurt. And as I was making these for a super delicious home cooked vegetarian Indian meal, it seemed fitting to make it savoury. Preheat oven to 150°C (300°F). Prep a flat baking tray with silicon mats sprayed with non-stick baking spray. Or prep some grease proof paper. In a heavy bottomed pan, take 1 tbsp of cumin seeds and dry roast until fragrant. Set aside. Separate your eggs. Put the egg yolks into a small bowl and whisk together with the yogurt, salt and dry roasted cumin seeds. 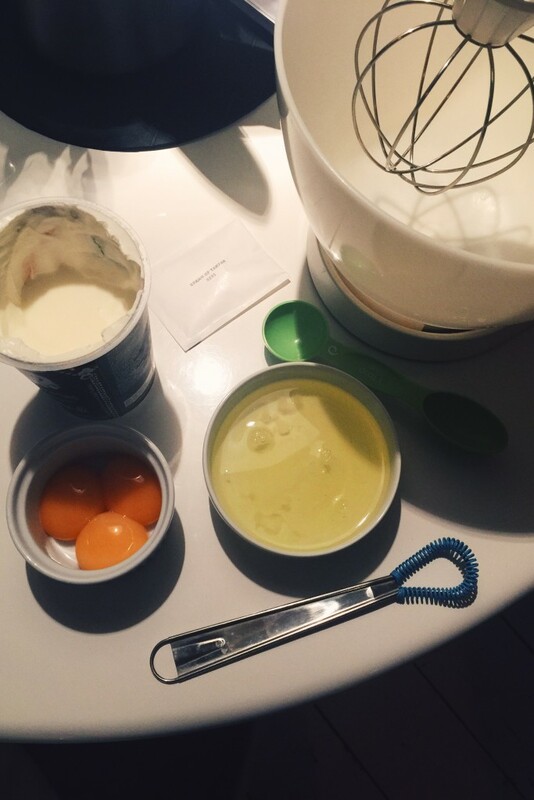 Put your egg white into a stand mixer (or use a hand mixer) add the cream of tartar and whisk until they form stiff peaks. With a rubber spatula slowly fold in the egg yolk mixture, careful to keep as much air as possible. Once just mixed, gently fold out six cloud shapes on the baking tray, and sprinkle with the remaining cumin seeds. Bake for 30 minutes until golden brown, turn your clouds in the oven if need be for uniform colour.